I wanna clear something up here because I think there’s some confusion as to what we have available. 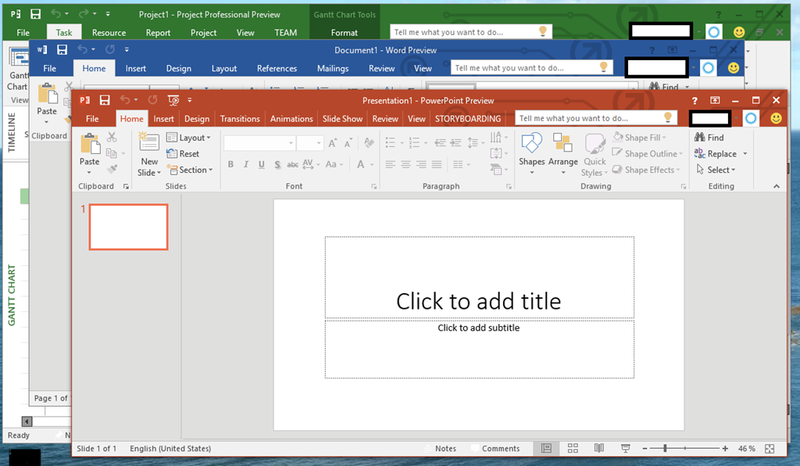 Office for Windows 10 is a preview release that is designed specifically as a “touch first” application suite and created as a Universal app. In other words, it leverages the “metro” or “flat Windows” design UI principles & runs full screen in tablet mode on Windows 10. The touch targets are larger throughout the user interface to accommodate the size of user’s fingers, relative to a mouse pointer, and gestures are predominantly available (in addition to traditional UI functions) for more convenient navigation. Equally importantly, Office for Windows 10 isn’t just for desktops: It’s also available for Windows 10 for Mobile Devices, i.e. phones, etc. If you look at the snapshot below you can see the analogous UI between the two screen sizes for Office on Windows 10 on a desktop/tablet & phone. Manageability & distribution, as a Universal/“metro-type” Windows app, is handled using the new Windows Store. This is key in that the new Windows Store has the distinction of being a converged store for desktops, laptops, tablets & phones, thus making available Office “universally” available for all form factors. Note: While this suite is designed to be a great solution for tablet & mobile users, a caveat that I have not completely verified however is the compatibility between this suite & traditional Office plug-ins & add-ins. I’m 95% certain that most Office-installable modules that are used to integrate Office apps into line of business systems (like CRM/Document Management solutions, FAX automation tools, or 3rd party components like Outlook productivity add-ins) do not work in this new UI. I suspect that the UI itself make integrating any of these 3rd party add-ins likely difficult, even if the same APIs were available. 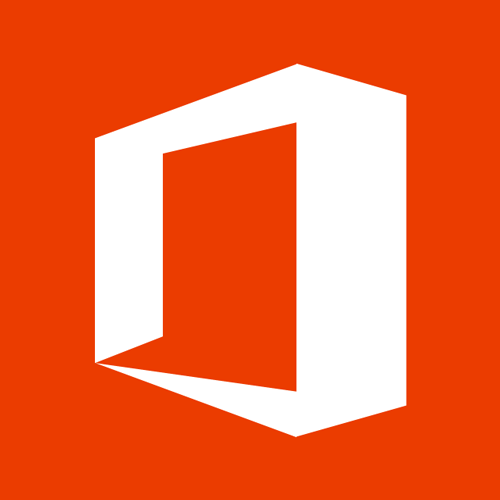 Office 2016 for Windows is the spiritual & logical successor to today’s existing Office 2013 and the current release of client-installable Office software delivered through Office 365. It’s a x86/x64 Windows application suite designed as a “desktop first” suite leveraging mouse & keyboard as it’s primary input tools, running on the Windows desktop & enabling windowed usage – as opposed to full screen usage – as its primary view. 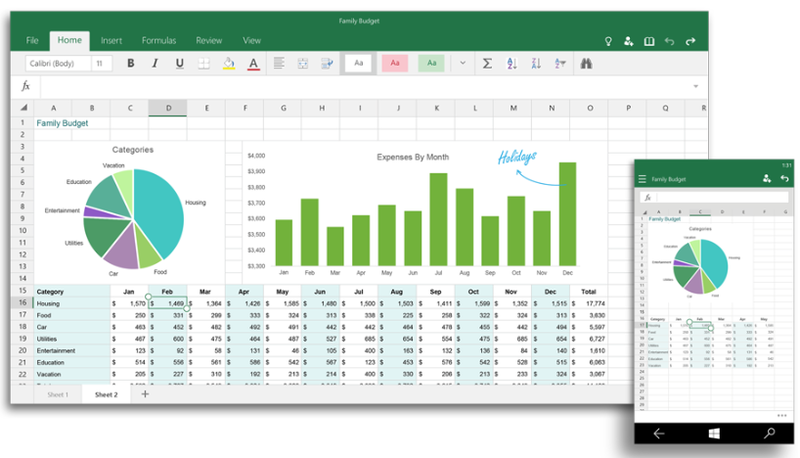 Unlike the Office for Windows 10 suite, Office 2016 for Windows is designed for compatibility with applications that are integrated with Office 2013, so this including plug-ins, add-ins & API level integrations with 3rd party document management & workflow systems.